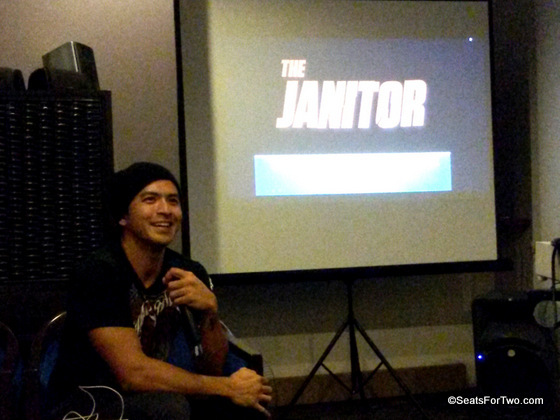 Thinking about it, I think “The Janitor” will be our first Cinemalaya Film to see as a couple. 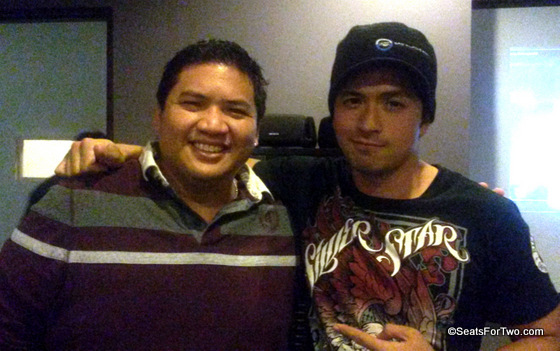 We haven’t been to the Cinemalaya together since after getting married in early 2013. We were invited a few weeks ago to the press conference of “The Janitor,” an upcoming movie included in the 2014 Cinemalaya Director’s Showcase Entry. 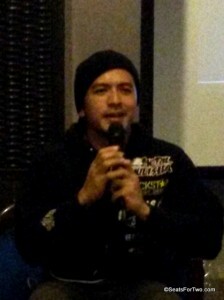 The movie topbills Dennis Trillo who plays as Crisanto Espina, a hired assassin. The action-thriller-drama is about a suspended cop (Trillo) who is tasked to ‘eliminate’ suspects involved in a band robbery/massacre. The story was based on an actual bank robbery case in the Philippines a few years ago. The movie revolves around the psyche of a hired assasin which is an allegory of a janitor who “cleans” up mess. Director Mike Tuviera shared in the presscon that this movie and story-line was something he wanted to make since years ago. When he heard the actual news of the incident from television, he already had the feeling that this was what he was waiting for. As per Dennis Trillo‘s preparation for this challenging role, he had intensive workout training for the physical demands of the movie. He also underwent some MMA training while his background on martial arts helped a lot for the challenging fight scenes. Moreover, Director Mike Tuviera and Trillo himself interviewed actual modern day hitmen in a confidential setting to further understand how these kind of people think and act in real life. Other members of the star-studded cast include actor Derek Ramsay, Richard Gomez, Raymond Bagatsing, Ricky Davao, Nico Manalo, Alex Medina, Jerald Napoles and actress LJ Reyes who plays as the leading actor’s wife. This movie joins the Cinemalaya Film Fest of 2014 that will run from August 2-10, 2014 mainly at the Cultural Center of the Philippines (CCP) and satellite Ayala Cinema venues in Greenbelt Makati, Alabang Town Center, TriNoma and Fairview Terraces. 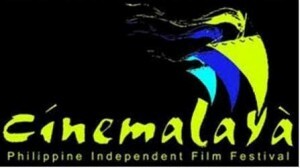 Check out the Cinemalaya Screening Schedule here. In the morning of July 21, 2011, 10 bank employees were found dead inside Mabuhay Savings Bank in San Pedro, Laguna. Considered to be the bloodiest heist in the country, people shouted justice for the victims forcing the authorities to step-up on the case. They turn to Crisanto Espina, a cop who was suspended from the force and seeks to redeem himself, to secretly hunt down the suspects. He is focused to complete the mission assigned to him by his superiors. But as he pursues each suspect, Crisanto discovers the corruption hidden within the system that he once believed in. Know more about The Janitor on their Facebook page. They will have a Gala Night on August 4, 6:15pm at the CCP Main Theater. 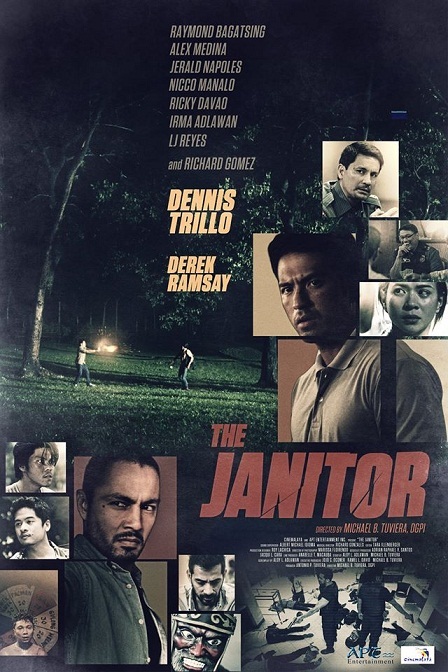 “The Janitor” is directed by Michael Tuviera and written by Aloy Adlawan. It is produced by APT Entertainment for the upcoming 10th year of Cinemalaya.